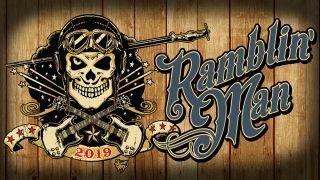 Ramblin’ Man Fair organisers have revealed the name of 10 more artists who will play at this year’s event. The festival of rock, prog, country and blues will take place at Mote Park in Maidstone, Kent, between July 19-21, with bands including Foreigner, Anathema, Beth Hart, The Darkness and Black Stone Cherry set to appear. And today it’s been revealed that they’ll be joined by Kris Barras, Vola, Allman Betts Band, The Lazys, Austin Gold, Scardust, Willie & The Bandits, Elles Bailey, Chantel McGregor and Joyous Wolf. Other artists previously confirmed include The Wildhearts, Chris Robinson Brotherhood, Living Colour, Riverside, Orange Goblin and Ritchie Kotzen. For tickets, visit the official website, while the full lineup announced so far can be seen below.